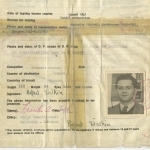 This identity certificate was given to refugees who were not under the protection of any government after World War II. 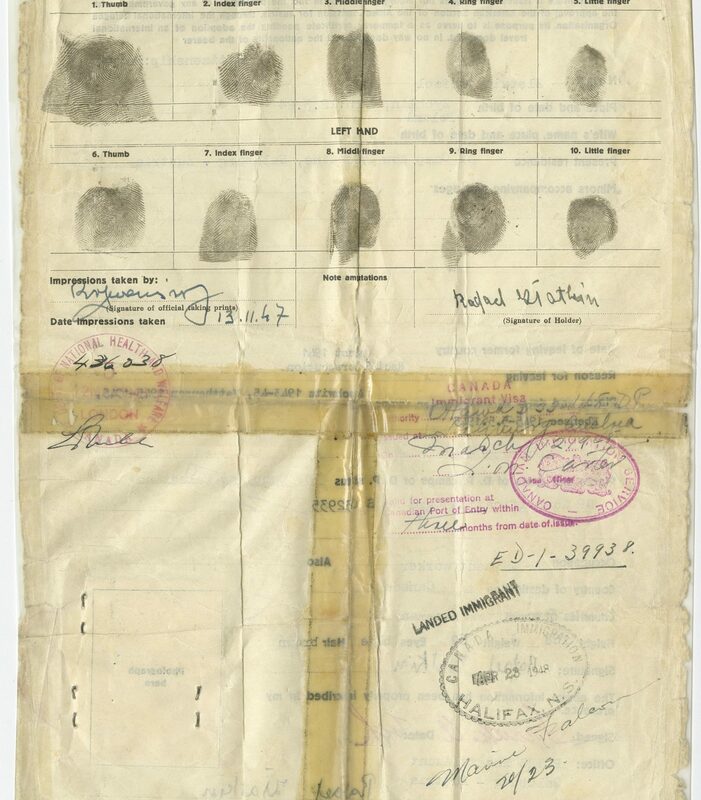 This document belonged to Rafael Zlatkin, a survivor of the Auschwitz, Mauthausen and Ebensee camps where he was incarcerated between 1943 and 1945. On the back of the document, Rafael’s fingerprints and the stamp from his arrival at Pier 21 in Halifax in 1948 are still visible. 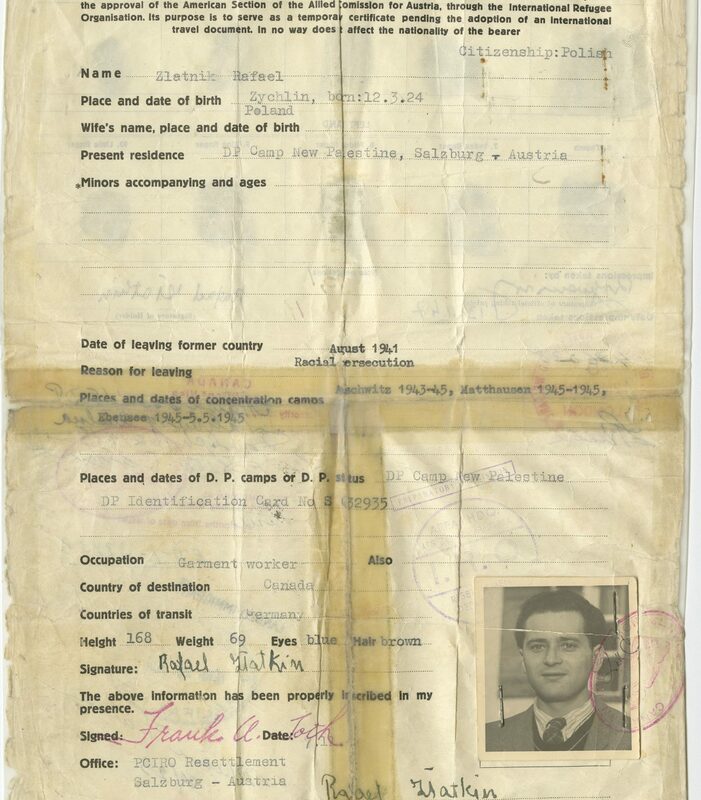 identity certificate given to refugees who were not under the protection of any government after World War II. This document belonged to Rafael Zlatkin, a survivor of the Auschwitz, Mauthausen and Ebensee camps where he was incarcerated between 1943 and 1945. On the back of the document, Rafael’s fingerprints and the stamp from his arrival at Pier 21 in Halifax in 1948 are still visible. 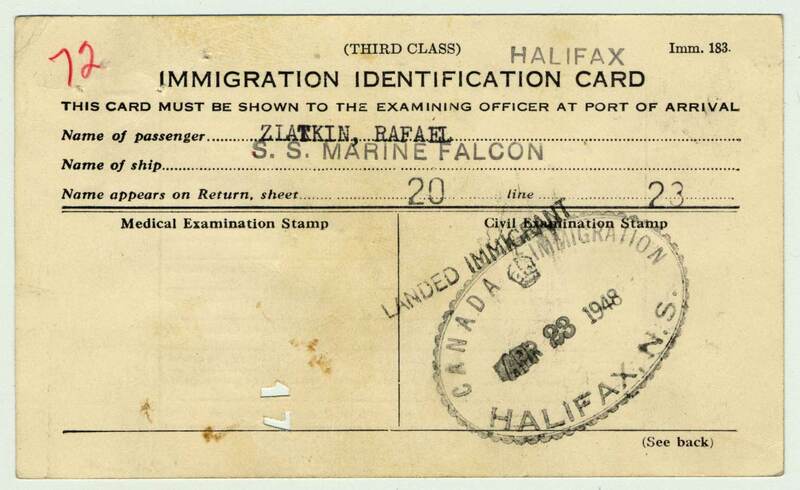 Rafael Zlatkin’s immigration card from his arrival in Halifax on April 23, 1948. Rafael Zlatkin, his brother Josef and their parents, Roman and Dvorah, were forced to live in the Zychlin ghetto in Poland. Dvorah died in the ghetto. Rafael was selected for forced labour and deported to the Mauthausen camp. 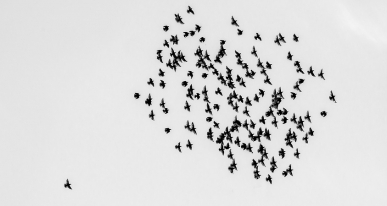 In 1943, he was transferred to Auschwitz where his prisoner number was 124274. He worked with food supplies and managed to steal food and distribute it to other prisoners. Rafael survived a death march. 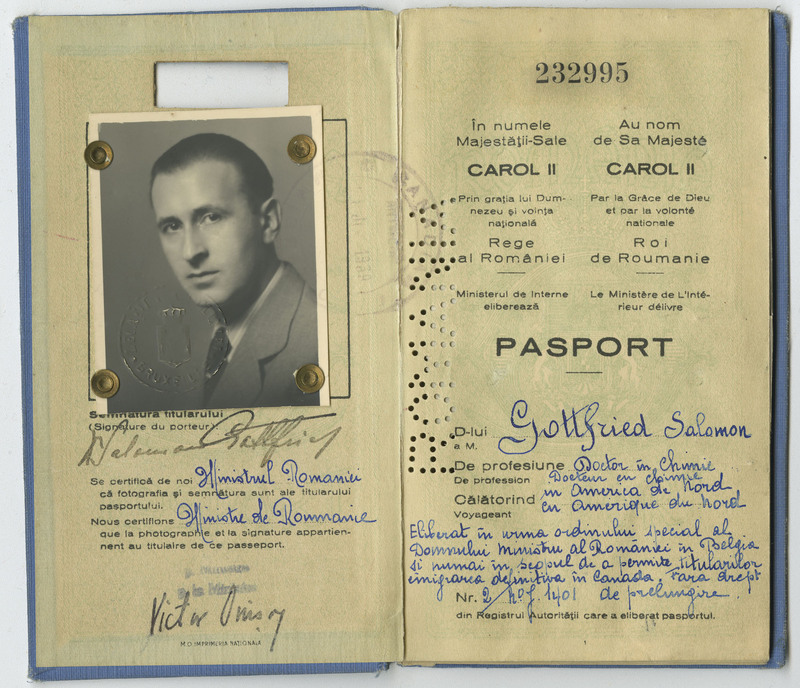 After his liberation, Rafael lived in the Salzburg displaced persons camp where he obtained this document and a Canadian visa. He arrived in Halifax in April 1948 and settled in Montreal. 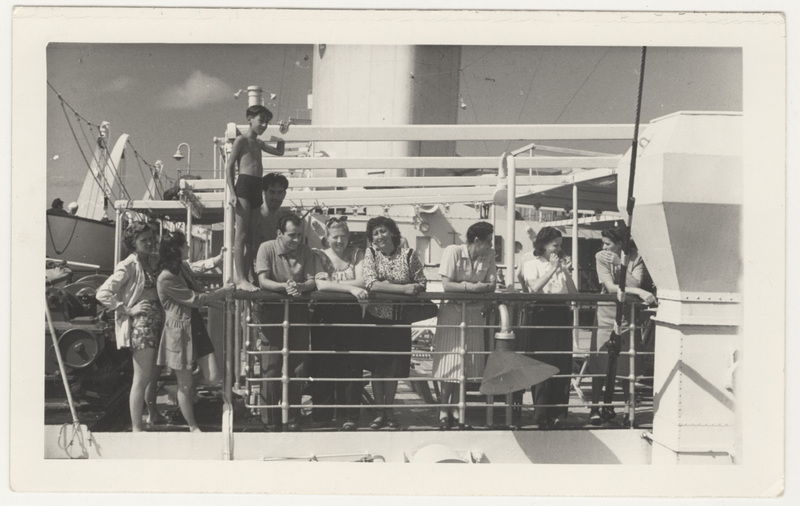 Rafael’s father Ramon, who also survived the Holocaust, joined him in Canada. 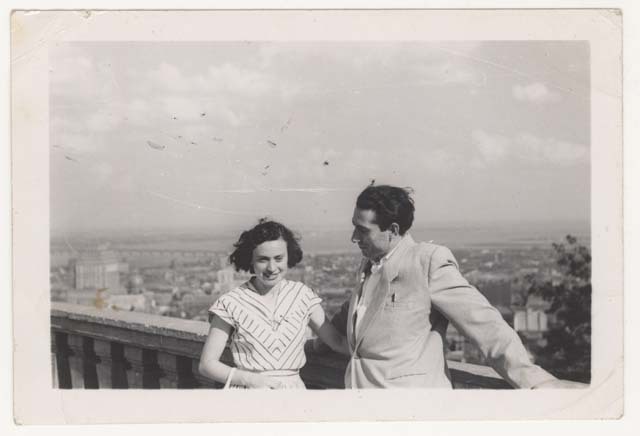 Rafael met his wife Gertrude in November 1948. Gertrude Zlatkin donated this document to the Montreal Holocaust Museum in 2002.